In Galicia with Marcos Coll!! After an intense period full of amazing concerts in beautiful places, I’m back in Galicia with Marcos Coll!! We’ll be here till Monday, if you are around here check the page NEXT SHOWS to see where we’ll be playing!! Dear flu: F..K OFF! Time to get back on the road!! After my last concert in Copenhagen (by the way: great show and great people! I loved it!) I came back home sick..very bad and annoying flu..but now I am definitely better and I can focus on next gigs!! Some cool concert in Germany this week, and on the weekend I got a flight to Israel! I am going to play for my good friends at Bread Jar Blues in Tel Aviv! I am looking forward to those gigs and all the others! I’m having such a good time in Munich..the Festival in Puchheim has been amazing, and tomorrow I’ll be back in Berlin. While I get ready for an intense week of music, today I enjoyed my last day in Munich going to a beautiful swimming pool, drinking a tasty ginger and mint tea, and eating a very good pizza! Check the calendar to see my next gigs, see you soon on the road!! See you next time Valencia..Munich, I’m coming!! I had a great time in Valencia, again..Double Shot Festival was amazing!! Not even at home for a full day, it’s already time to pack again and go to Munich, for the first time!! I will have an amazing concert on Friday, in Puchheim..very close to Munich!! I’m looking forward to it, and I will keep you updated on next gigs and travels!! Next Events..old blues & lots of dances!! I’m still super excited by the great gig I had yesterday night with my new Swing/Balboa project, called The Roaring Rag Beastie..we had so much fun!! I’ve been touring a lot this month, I met a lot of new people, dancers and musicians all around..and before the end of the month still I have to come back to my beloved Valencia and play for Double Shot!! I can’t wait to be there!! In the beginning of March I will spend some days playing in Munich with my good friends and incredible musicians Peter Crow C and Ferdinand “Jelly Roll” Kramer, and for sure we will have a lot of fun! And then..Hygge Blues Festival, Copenhagen!! First time in Denmark!! So..a lot of cool news, and many more still to come.. I am in Valencia right now..how beautiful.. I had a great time here, with some of my favorite dancers out there, aka Adamo Ciarallo, Vicci Moore and Annette Kühnle. I met a lot of great people and beautiful dancers, and also some young and passionate musicians. I definitely look forward to come back here at the end of February for Double Shot festival!! Time to get ready for the next stop: Tuballoswing, Florence, Italy!! “In Close Embrace” is out NOW!! My new record, “In close embrace” is finally out!! I’m sharing this amazing artwork by Julia Happymiaow to say just one thing: Petit ESBF in Madrid has been glorious. Some of the best dance teachers in the World, a room full of nice and passionate people dancing, and marvelous musicians..all in the same festival!! Thank you Madrid for welcoming me always so nice..see you soon!! How can I describe an experience like this..three weeks on tour with a legendary musician, who played with all the greatests I’ve been used to listen to since I was a kid. Really, I have no words..just a lot of joy and gratitude. Thank you for teaching me so much. On tour with Tony Coleman, and much more!! 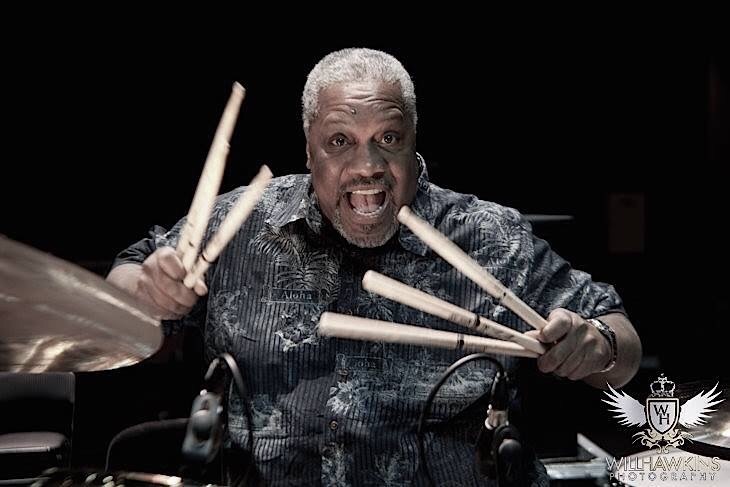 I’m really excited about touring with the legendary Tony Coleman..BB King’s drummer for more than 30 years!! I can’t believe I have this opportunity, specially because I can share this experience with my friends Henry Carpaneto and Pietro Martinelli (The Ragtime Millionaires), being part of Henry’s quintet..it’s going to be awesome!!!! Also, tomorrow I’m flying for my first time to Riga, Latvia, to play at Rock Cafe with Kat Baloun! That will be also fun! Recordings are finished, I just have to wait for the graphic work and then I will send all the material to Spain, to Gaztelupeko Hotsak Records..and they will take care of producing it, the way they do! I’m really looking forward to all of this..I feel super blessed, I love playing, singing, and mostly I love all of you out there, that enjoy and feel my music..thank you very much! !